The TCR Hub studio is a gem in the heart of rural Teesdale. 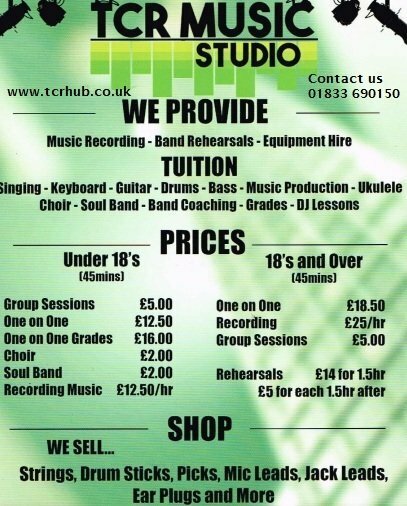 We were fortunate to be able to capitalise on a high budget at the outset, installing equipment enabling the music studio at the TCR Hub to enjoy features which far surpass any comparable studio in the area. The music hub is run by a team of highly skilled, experienced and passionate musicians. Please contact reception on 01833 690150 for any details or to book a studio, rehearsal space or tuition.